Facebook has finally shown its hand for its "big revenue" play. Well for those of us who are paying attention anyway ;) . In this post i summarize the emerging revenue strategy that facebook is pursuing on mobile and provide the supporting data points about the ecosystem that show the pattern. 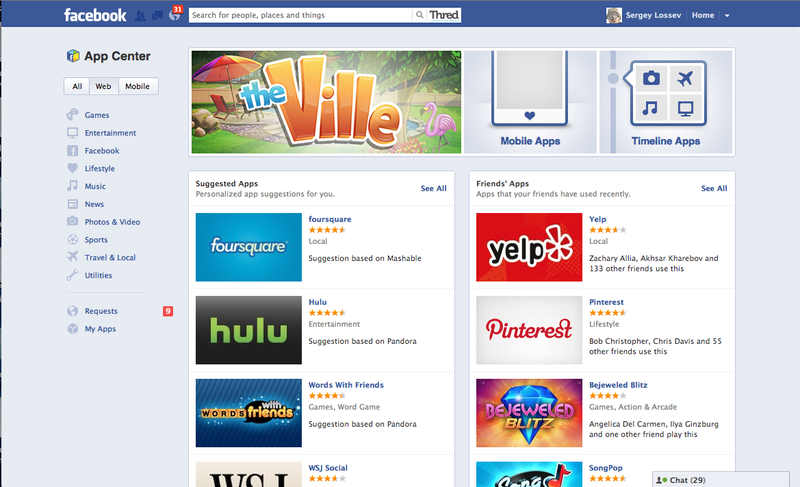 Facebook's is bringing to market a mobile ad platform for mobile apps, it will be distributed to mobile app developers. Think of it as a mobile Ad Sense for mobile apps on iPhone and Android (so similar distribution position as Google's ad sense network). So What Is Facebook's Brilliant Mobile Revenue Model ? Its about Facebook's App Center. Because App Center is a play to control tons of mobile traffic bound for the iOS App Store and Google Play store, by controlling which apps users "discover" through facebooks mobile properties. This will earn Apple and Google money from app sales, and get more app downloads for both mobile platforms. However the real big win here is for Facebook to push its mobile SDK to more developers (because if you integrate facebooks sdk and use app center your app will get more traffic to its store pages) and more importantly facebook's mobile ad network (think Ad-Sense for mobile apps with social targeting) will be baked into that SDK. So if this works it will position facebook for a controlling position in mobile app distribution and create a huge mobile advertising ad inventory inside iOS and Android apps. Add social targeting and audience segmentation for on top of that and you have what is looking like a whale of a revenue model for 2013 and beyond. Currently facebook has 543 million monthly mobile users. Facebook reported that it drove 136 million clicks to the App Store and Google Play last month. This month Facebook reported that it drove 170 million clicks to the App Store and Google Play.